We live in this exciting age in which we have so much technology, offering us so many different outlets for our thoughts and stories. Not too long ago, the world of podcasts became a rather mainstream activity and we've all jumped onto the bandwagon. Podcasts allow us to either listen to something entertaining or even informative, all while we still get to do whichever tasks we might need to fulfill. Personally, I love listening to podcasts when I'm either walking to a certain destination or am actually travelling to places. There's something so practical about popping your headphones in and being able to learn new things while you're doing rather boring tasks. It allows you to make the most of your time and can help you grow as a person. Now, whether you actually want to learn something from the podcast, or are just looking for some distraction - there's gonna be the right podcast for you somewhere. And with this little "Podcasts We Love" series, I would like to introduce you to the podcasts I listen to on a regular basis. Not all of them are going to be music related - which I hope is okay for you, but for the sake of the first part of this series, we're focusing on a music podcast. Just recently we've reviewed George's second (and rather brand new) record, "Staying At Tamara's". In case you want to read it, you can do that here - but if you'd rather just know what we thought, well, we loved the album. 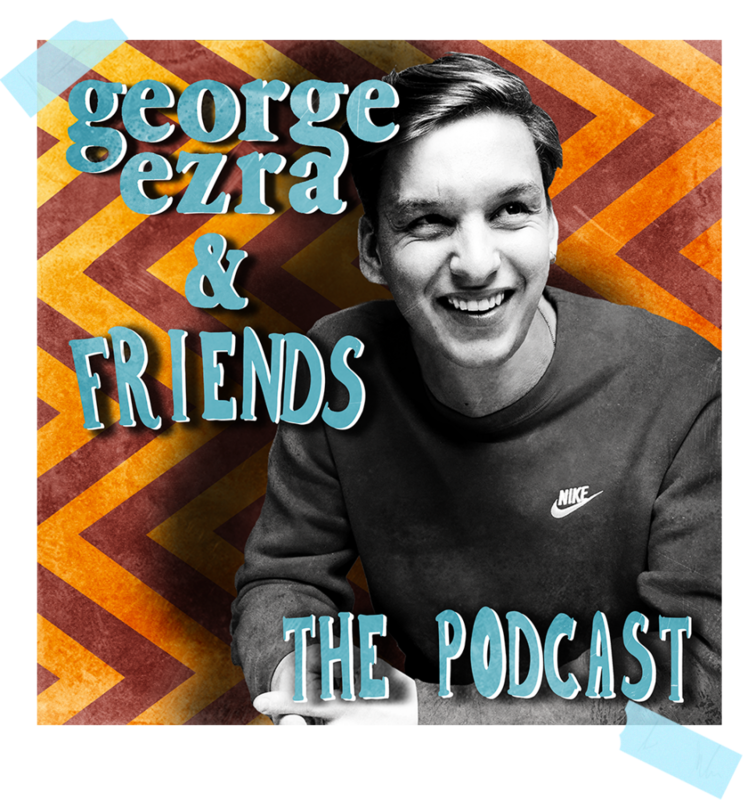 A little before the album release, we actually learned about George's podcast and felt the urge to check it out. Hannah Reid from London Grammar, Craig David and a lot more. It's basically a conversation between to people who talk about what it's like to be in the music industry, their personal experiences, tips and tricks and depending on the episode the topics get deeper and cover anxiety and mental health. What's incredibly commandable is how absolutely relaxed and laid back the conversations are each time. They are insightful but on a very down to earth level, making each episode a joy to listen to. I'd say that this podcast is for everyone, not just industry people. If you're a music fan or just interested in how a musician's brain works, George and his guests will teach you a lot. But it's not all musical terms or recording strategies - no, it's very understandable for everyone. "Had it not been for the introduction of podcasts into my life, my second album could well have been ready six months sooner. Who knows, maybe even seven. The world of podcasts has been an extremely welcome and comforting distraction from reality. Listening to interesting people talk to other interesting people about interesting things. New ideas, old ideas, thinkers and dreamers. What started as a labour of love and somewhat of a passion project is shaping up to be one of the best and fulfilling projects I’ve ever been a part of. I hope you find it as interesting and fun to listen to, as it was to make."